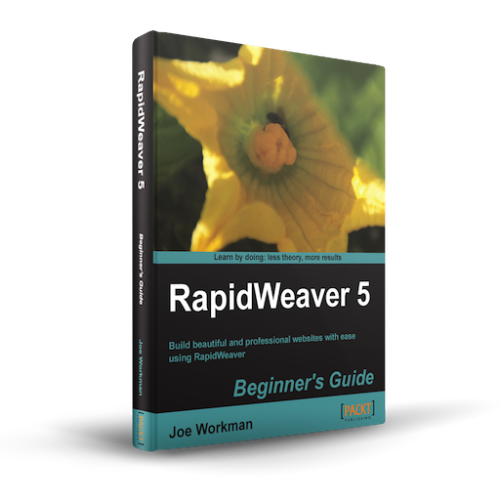 I am very happy to finally see this amazing book on RapidWeaver released. With almost 10 months in the works, I could not be happier with how it turned out. I wrote this book was to provide a powerful resource for both novice and advanced users. It touches on practically every facet of web design that you will need to develop beautiful and powerful websites with RapidWeaver on your Mac. I try hard to keep the tone of the book both fast paced and fun so that you stay awake.